Which UK credit cards have no foreign exchange fees? TRAVEL CARD REVIEWS: Which FREE UK credit cards have 0% foreign exchange fees? What are the best FREE credit cards with no foreign exchange fees? As the Lloyds Avios Rewards Mastercard is no longer available to new applicants, there are no travel rewards credit cards which offer fee-free overseas purchases. If you use a rewards credit card when travelling, you will incur a fee of 3% on everything you buy. This can never be justified by the miles and points earned on the transaction. It may be justified if you need to hit a spending target to trigger a sign-up bonus or a voucher such as the British Airways American Express 2-4-1. Over the next week or so we are looking at a few no and low FX fee options. We reviewed Tandem a few weeks ago (click here). Here is our review of the WeSwap Mastercard travel money card, here is our updated review of Revolut (with a special offer for HFP readers) and here is our review of Starling. All of these products have different features – there is no ‘right’ answer. Some are more fiddly than others, some are prepaid cards and some are credit cards, some have added benefits such as 0% interest on purchases. In this article I want to run through some mainstream credit cards which offer 0% foreign exchange fees and have no annual fee. I haven’t included Virgin Money or Aqua as I want to cover those separately. We looked at Tandem here. None of the cards in this article let you earn rewards. Aqua and Tandem, not covered here, offer 0.5% cashback on foreign spending on top of having 0% FX fees. If you DO want to earn miles and points from your foreign spending, the best option is Curve Card. Curve is free and has a 1% foreign exchange fee (2/3rd lower than most cards). It recharges your purchase to any other Visa or Mastercard you own in Sterling. This means you earn miles and points on the underlying card without paying the usual 2.99% foreign transaction fee. Curve Card will pay you £5 for trying it out – read our article here. Clarity is the daddy of 0% FX credit cards. Details are on their website here. 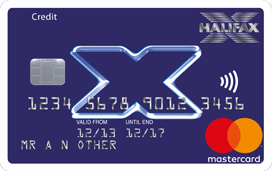 You will see that Halifax is offering a £20 statement credit if you apply by 31st August and make a foreign currency transaction by 30th September. There is no requirement to have a Halifax current or savings account to apply. The card ticks all the key boxes – it is free, it has no foreign exchange fees on purchases and it has no cash withdrawal fees abroad. The representative APR is 18.9% variable on both purchases and cash withdrawals. Details are on the Post Office Money website here. The issuer is actually Bank of Ireland UK under licence. The card is free and has no foreign exchange fees on purchases. It DOES have a fee on cash withdrawals of 2.5% (minimum £3). There is no charge if the card is used to buy travel money at a Post Office. An extra benefit is 0% interest for 18 months on balance transfers. A transfer fee of 2.89% applies. The representative APR is 18.9% variable. This is a newer entrant to the market. 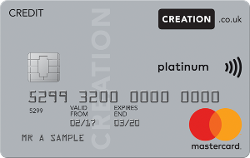 Creation also issues the IHG Rewards Club card and will also (re)launch the Marriott Rewards card in August, so you may want to be wary – I’m not sure how Creation treats multiple applications for different cards from the same person. This card is an excellent package. It is free, it has no foreign exchange fees on purchases and it has no cash withdrawal fees abroad. It also has the lowest interest rate of any card here. The representative APR is 12.9% variable on purchases and cash withdrawals. Details are on the Creation website here. Santander tends change its benefits packages more often than most issuers, so this may not be a card for life. However, the package as it stands is impressive. The package is excellent. It is free, it has no foreign exchange fees on purchases and it has no cash withdrawal fees abroad. 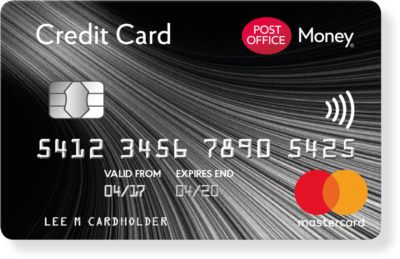 There is a USP that no other card here matches – it also has no cash withdrawal fees in the UK either although you will pay daily interest on the amount withdrawn. The representative APR is 18.9% variable on both purchases and cash withdrawals. You can find out more here. Barclaycard states that it will withdraw the 0% deal on this card in 2022. Until then, however, it is worth a look because it is the only card on this list to offer an interest-free period on overseas cash withdrawals. You WILL pay interest immediately on any UK cash withdrawals. One other benefit of the Barclaycard option is 0% interest on purchases for 12 months. The representative APR is 19.9% variable (27.9% on cash withdrawals). You can find out more here. The Clydesdale B Mastercard has a very low interest rate – the representative APR is 9.9% variable. The trade-off is that, whilst purchases abroad have no foreign exchange fee, there are fees on cash withdrawals abroad. 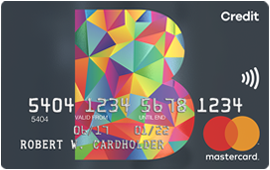 You can transfer a balance from another credit card to the B card for free. You will pay interest at 9.9% variable on the transfer, but if you pay off the balance quickly this may be cheaper than taking a ‘0% interest on balance transfers’ card with an upfront fee. The Clydesdale website is here. If you trust Moneyfacts, these are all of the free UK credit cards with 0% FX fees, excluding Tandem (we reviewed Tandem here) and Virgin Money and Aqua (which we will do separately). There is no definitive ‘best’ choice. If you have decided to go with a 0% fee credit card instead of a debit or pre-paid card, you need to decide what is important to you – free cash withdrawals, 0% balance transfers, 0% on purchases, cashback (offered by Aqua and Tandem), whether or not you already have a card from a particular bank – and then pick the one which suits you best. HFP competition: Travel in style this Summer with a luxury polo shirt by Niccolò P.
Comments earlier in the series established that there are some countries where one does still need cash. One technique to deal with the no-interest-free-period on cash withdrawals is to prepay the card. If one is using the same card for cash and purchases, the amount needs to cover the purchases as well. Do any of these cards operate in a way that that does not work? You can manually load a credit card but it’s usually against their terms and conditions. I’ve been a very long time holder of the Clarity card and usually send a payment immediately should I withdraw cash. We have a joint current account with Nationwide flexplus which as part of the fees allows withdrawals with no charge and essentially Visa’s market rate. The downside is that Visa has minutely worse exchange rates than Mastercard. We make use of the account and it’s free insurance so it’s worth it. Tend to stick to the Halifax for the purchases and Nationwide for the withdrawals. Although tempted to take on a Tandem card. You can get Nationwide Select Credit Card for purchases. Flexplus debit card is good for withdrawls; no longer for purchases. The negative impact on the credit report seems somewhat marginal. It’s certainly never prevented me from getting decent cards. Very true – though only if you’re happy for it to be your main current account. I prefer to keep my money earning interest elsewhere, in which case it’s pretty much the same concept. Instead of transferring money to the credit card I’d be transferring it to the current account. No need to have starling as main account. Direct debits needed for interest – the more credit cards the better! I take a tfl contactless trip on each card once a month now that Tesco savings no longer does DDs. @John – I’m not saying Starling will insist it’s your main account. If it’s not your main account then you need to do manual transfers to it when you want to spend – which means it isn’t any different to just using the Clarity card. And some of them are surprising. Germany was a farce! I’d made the assumption that it was like most other civilised countries where I’d just use plastic. I can go for weeks without using cash in the UK in the US a few weeks back I didn’t spend a single cent in cash – but Germany, that was repeated trips to an ATM. Germany is great. Amazon still accept payment by bank transfer IIRC – you create a basket, place your order then they wait until you’ve transferred some money over to them before they post the stuff. This is all a throwback to the 1930s. 4 trips to Germany last year, I think the only thing I paid for with a card was public transport tickets. I don’t think being in thrall to commercial banks and payment networks is necessarily a sign of civilisation. What makes you think cash is not being in thrall to commercial banks and payment networks? Unless you save all your cash at home, you would still need banks and ATMs (which are largely owned by commercial banks or other financial companies) to store and make withdraws. It is a privacy thing. With all the data mining that’s possible now, do you want an insurance company refuse you your coverage 30 years down the line because you had too many pub transactions, or binged on chocolates? Or determines that your frequent flying might have increased your cancer risk? W: how is it different that the insurance company look at how frequently you withdraw cash in a pub, or at airports? There is also a limit of amount of cash you can take through the custom if you go outside EEA anyway (5000 USD if you go to China which is not very much)? Unless you always carry a large amount of cash (which is a security nightmare) or always go to an ATM far away to avoid the data mining. And then one has also lose section 75 or chargeback protection if using cash. and if you transfer the money to the card immediately after a cash withdrawal? Section 75 surely doesn’t cover cash withdrawals anyway? 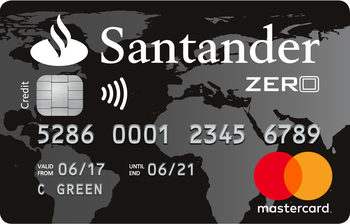 FYI the Santander Zero you can withdraw cash free abroad without any interest, you have to pre-pay for what you are about to take out… It is a loop hole currently. All you do is pay your bill in advance, say transfer £2k over and when you take money out, as yours in credit it does not charge any interest…. I have done this but sometimes Santander will not let you overpay the account. Seems hit and miss. Paying it by the UK working day after the withdrawal works too. If you preload then you kind of commit yourself to making some cash withdrawals. Do you need to pay the whole balance? I assume you cannot specify that want to pay for just the withdrawals? If your previous statement was cleared in full, then any payments to unstatemented transactions will be allocated to cash withdrawals before purchases. If you don’t understand what you’re doing then best to just pay everything. Have used the Zero card for many years. Excellent exchange rate. It was withdrawn for new applications for a few years but has returned. Customer service good. +1 I’ve had Zero since launch and it was my go to card before getting the Lloyds Avios one. Still hanging on to the Zero as it’s useful to have a backup. Originally found that the Zero was terrible for being declined when travelling but this seems to have been sorted in the last couple of years. Was slightly surprised that they approved a cash withdrawal in Albania for me once when there had been no account activity for the previous 18 months. +1, this is the card I use for overseas spend as we have a nationwide account and it’s useful to only have to look at one current and one (Amex) credit card platform! The ancestor of this Nationwide credit card has an even longer FX-fee-free heritage than the Halifax card, although it went through a brief black period when it was only FX-fee-free in Europe. I still hold the, now withdrawn to new customers, gold card. This is still only fee free within Europe. Should probably get rid of it and replace it with something more useful I suppose. +1 here. This always gets mentioned in the comments in these types of articles. It would be good to see it actually make the list because its is clearly a valuable product to people. The Nationwide FlexPlus current account Visa Debit gets you fee free worldwide cash withdrawls, worldwide travel insurance for family and other bits like breakdown cover. It’s £13/month. The Select Credit card has no annual fee but requires a current account and comes with fee free purchased abroad. Combining these two cards means you can avoid all FX fees for both cash and card transactions. The only thing that would be helpful would be to know which banks abroad don’t add their own foreign card fee for withdrawals as it can be hit and miss. +1 Nationwide Flex Plus Account. The travel insurance is excellent (5 star Defaqto) and it’s worth mentioning the account pays interest so you can make back about £6 of your £13 monthly fee. If I take out cash then log in with the Santander phone app and pay the card before any interest accrues. This is easy within the EU as my mobile internet is free in EU too, if using the app on hotel WiFi then I think it should be safe from attack due to the encryption, plus log in seems to be on the phone (with fingerprint on mine) so I think the phonebank handshake is one off encryption keys. Purchases I use my Capital One Aspire Elite card (no new apps). No fees, and 0.5% cash back, plus £10 per year for paying on time (doh direct debit does that). I didn’t get the £10 for Cap1 last year. Not sure why, only thing I can think of is that it was the first year I didn’t use the card every month, and payment of £0 didn’t count. If I link my Lloyds MasterCard into Curve and set the currency to EUR, would any EUR spend on the Curve card incur forex fees? EUR being an example – I assume the same would be true for any available non-GBP transaction? That question includes ATM withdrawals, sorry. My Curve with Lloyds is always set to EUR (within ‘Europe’ ), and no extra fees above the set 1% on all payments or cash withdrawals. As far as S75 is concerned, we’re on holiday and certainly not worried about any local purchases. @Mikeact – I thought if the Lloyds card is set to the local currency then the Curve 1% fee doesn’t get charged? If not, then why does the Lloyds card ccy need to be changed? I’m off to Berlin this weekend and was planning to withdraw cash on Curve with Lloyds card set to EUR but will prob revert to using Nationwide Flexplus if that’s the case. If you set the currency for Llyods to EUR then you will not incur curves 1% fee. That fee is only if you “force” a currency conversation on the curve card. I do this every time i travel. Agree with Genghis – ATM limits is far too low for Asia. I even struggled in the USA despite putting everything i could on a card. There is the Natiowide Gold Visa , but it is only zero if inside Europe , I think its still available to new customers but all the original other benefits it provided have gone . Nationwide Gold hasn’t been available to new customers for several years now. Select and ‘normal’ are the only options now. ATM fees were standard (using my Cumberland card) when I was in Iceland a couple of years ago. They were advised on screen, but I tried three banks before I capitulated. Cumberland BS are generally excellent in my experience. They do decent business banking too, if you are eleigible to open an a/c. Has the SAGA Platinum VISA card disappeared ? I have this and always used it prior to the Lloyds Avios Amex, now just do odd transactions to keep it active. It’s definitely still there for those that have it, but not sure about new applications. Re holding multiple Creation cards, I can confirm it’s all good – I’ve got the Everyday card and the IHG card. You have to have separate online logins for each, which is annoying, but tolerable. I had three Creation cards at one point last year – Asda, FlyBe and IHG. (All of them the free cards). I’ve now cancelled two of those and only have the IHG. There doesn’t seem to be much rhyme or reason with anything they do, though. For one thing the credit limits I got were all over the place for no readily apparent set of reasons. Agreed re how they run things, wouldn’t surprise me if Creation was run entirely by one bloke with a laptop as a side project in his spare time, to be honest! I get random declines for no reason, when the card will then magically work again later on and their online platform is temperamental, however I’ve never had any real issues. Not sure how they’d fare if you needed to dispute something, some years ago (Marriott card) I was arguing about a transaction and tried to initiate a chargeback, they (Creation) never did bother responding to my contacts. Luckily I eventually resolved it, so never bothered to follow it up. Needless to say I try to stick to Amex if I’m going to potentially have any dramas! Did a chargeback on Creation Marriott about 6 weeks ago. No problems at all. I find the Barclaycard to be excellent due to the 56 day interest free period for cash withdrawals. I regularly visit places in South East Asia where cash is the norm hence I find this card to be perfect for withdrawing cash. Personally use Tandem when I visit a foreign country that regularly accepts card. I use the fairfx card which is a pre pay card. They seem pretty good , even when i lost the card outside a mcdonalds in florida and the person who picked it up decided to go on a little shopping spree of small amount purchases ! Tried to get a Tandem card the other day. Income £112,500, 993/1000 Experian credit score. Rejected. Go figure.